Omi Vaidya joins the cast of Abhinay Deo's Raita on his comeback to Bollywood. 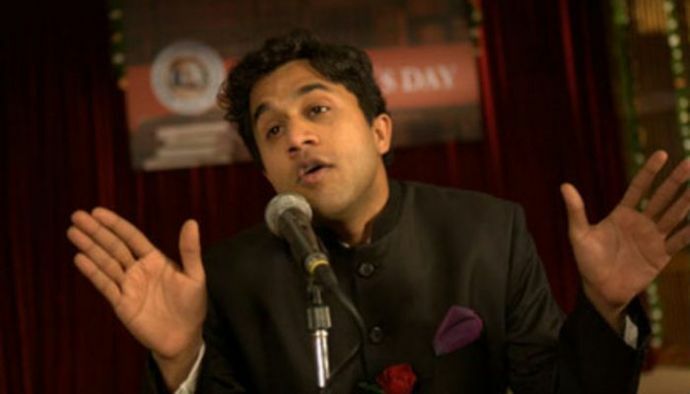 From his hilariously logical "Chamatkar" speech to his exam anxiety combating "Churan", Silencer of Bollywood aka Chatur Ramalingam aka Omi Vaidya has been off his Bollywood game for a long time now. Well, the good news is that he will soon be seen gracing the silver screen in his upcoming film titled "Raita". Raita is a situational comedy which will also star Irrfan Khan and is a creation of Abhinay Deo. Abhinay told the media that he went the extra mile to US to get Omi back as he could not imagine anyone else in the shoe of this character. Overseas, Omi was recently a part of Netflix satire "Brown Nation" which was based on the stories of Indians in USA. There was also a documentary made about his struggles as an actor and his fame after 3 Idiots. The documentary was titled "Big In Bollywood". His upcoming project Raita has gone on floors and Omi will be joining the shoot in May. The movie is a Mumbai-centric quirky comedy and falls in the same category as Delhi Belly.